A man has been charged in the North with causing the death of Irish club cyclist Gavin Moore 18 months ago. 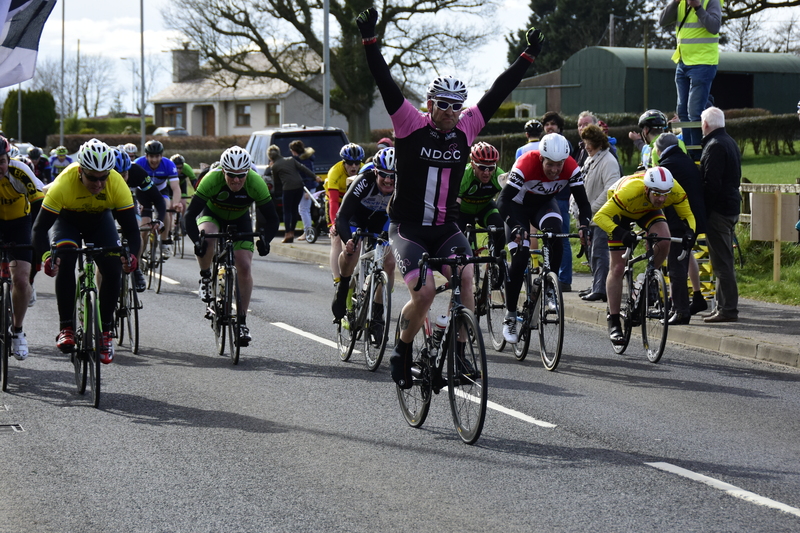 The North Down CC rider was part of a group of riders when he was fatally injured. The group was training on July 11th, 2017, just before 2pm in Co Down; on the Ards to Bangor road. Three other riders suffered injuries in the crash and Hing Tong Cheung (61), from Hanover Hill, Bangor, faces charges in relation to the death of the deceased and injuries to Gareth Boyle. He is charged with causing the death of Mr Moore, a 40-year-old father of two, and also grievous bodily injury to Mr Boyle by driving dangerously. Mr Boyle was hospitalised after the crash with what were described at the time as serious but non life threatening injuries. Cheung’s case was before Newtownards Magistrates Court for a preliminary enquiry, though the accused man did not attend in person yesterday. The court appearance is required under the legal system in the North before the case can go to the higher Crown Court. In a statement to the media at the time, the PSNI’s Insp Stephen McGuigan outlined details of the fatal incident. “The collision, involving a white Hyundai car and three cyclists, occurred on the Bangor-bound carriageway shortly before 2pm today,” Insp McGuigan said. “One of the cyclists, a man aged 40, was taken to hospital where he sadly died from his injuries. “Two other male cyclists were treated for injuries which are not believed to be life-threatening.